Four Prints, originally uploaded by spoonergregory. 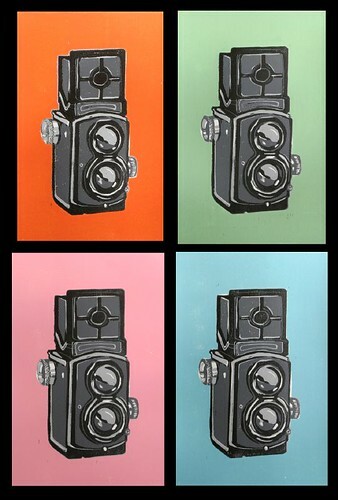 A four colour reduction woodcut of a classic twin-lens camera, printed in gradual stages over the summer (see posts below). We agonised over whether to go with 3 or 4 shades of grey, but we're pleased with how it finally turned out. This image was cobbled together in photoshop to show the four different background colours. We like blue and pink best at the moment, though green and orange aren't far behind! Individual prints are available through our Etsy shop. 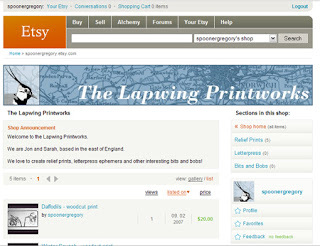 Click on the picture below to visit the Lapwing Printworks! We love making bread, and are always on the lookout for new things to try, so we thought we'd share a few of them on here. This one is slightly counter-intuitive if you're used to making normal bread. No laborious kneading and no leaving to rise in a warm place. Extra flour and semolina flour for dusting. 1. Mixing - Chuck everything into a food processor with a metal blade attached. 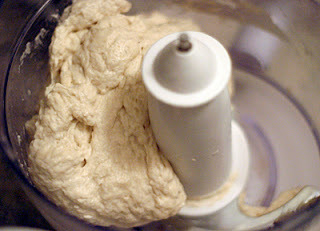 Pulse it until the dough forms a ball, then leave it to rest for 5 minutes. Then blitz for 45 seconds. 2. 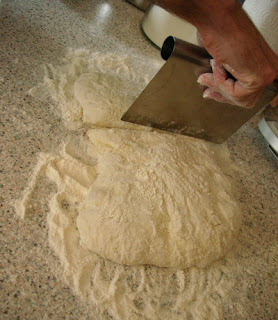 Lightly oil a large bowl and extricate the dough from the processor with a plastic spatula. The dough should be wet and sticky but not too sloppy. 3. Place the bowl in the fridge overnight. 4. First thing in the morning, take the bowl out of the fridge and allow the dough to come back to room temperature and start rising. Wait until it has doubled in size, which could take 2-4 hours. 5. 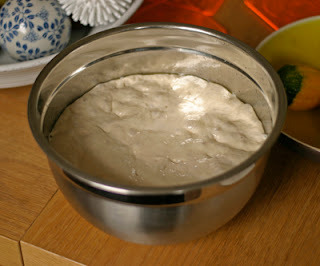 Once the dough has doubled, pre-heat the oven to 250C, liberally flour the worktop and remove the dough from the bowl. A plastic spatula dipped in cold water helps here. 6. 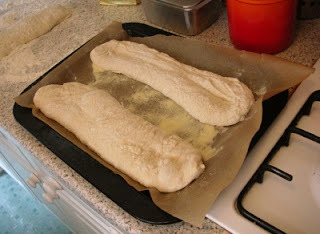 Stretch the dough into a rectangle about 7ins by 6ins. If its too sticky to manipulate sprinkle more flour over it. Don't be tempted to start kneading it, you want it to keep as much air as possible. Cut it into long pieces. 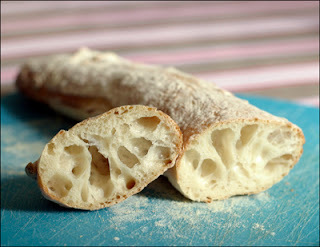 We cut ours into three but you could do more if you want small baguettes. Allow it to rest for 5 minutes. 7. Prepare as many baking sheets as you need by putting a piece of siliconised baking parchment on each one and covering it with a layer of semolina flour. 8. After 5 minutes, transfer the bits of cut dough to the trays, carefully stretching out each one to the length of the tray. Spray them lightly with water and bung it in the hot oven. 9. Bake for 8 minutes, then turn them round if they are cooking unevenly. Another 8-10 minutes after this should finish them off. 10. Let the bread cool and then eat it!